First resale in the building! Thoughtfully designed 2 bedroom layout with split bedrooms. The open kitchen has white shaker cabinets, quartz countertops, and a combination of Bosch & Liebherr appliances and custom open shelving installed. King size master bedroom. 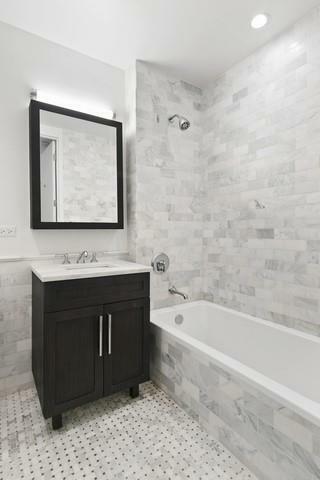 The serene bathroom comes equipped with Signature fixtures and is lined with floor to ceiling marble tiles. Custom built-ins in all closets. 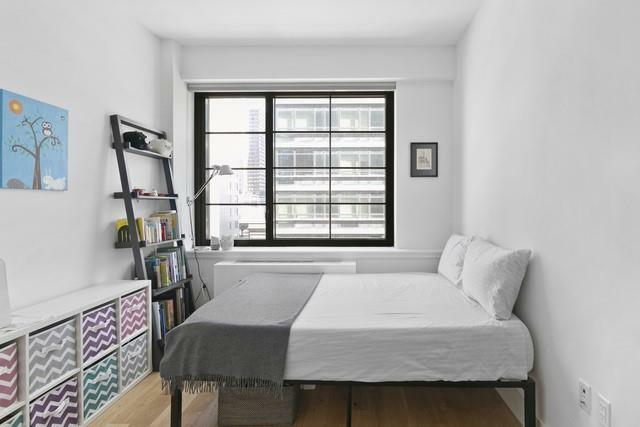 Oversized windows and white oak flooring throughout. W/D in unit. 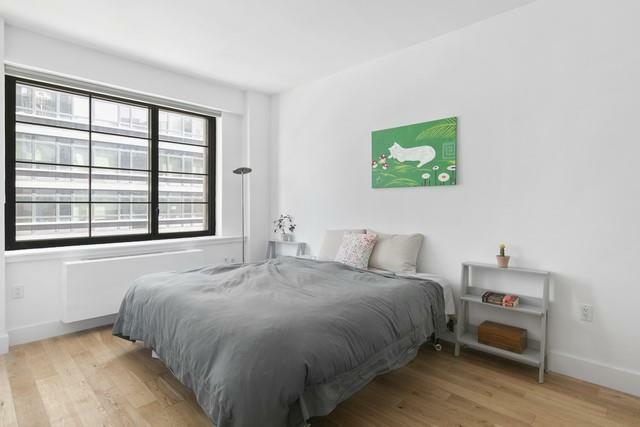 Google Nest thermostats installed in all 3 rooms, Google Nest smoke detectors, Hunter Douglas blinds installed.The Harrison is the only constructed high rise condominium in Long Island City. 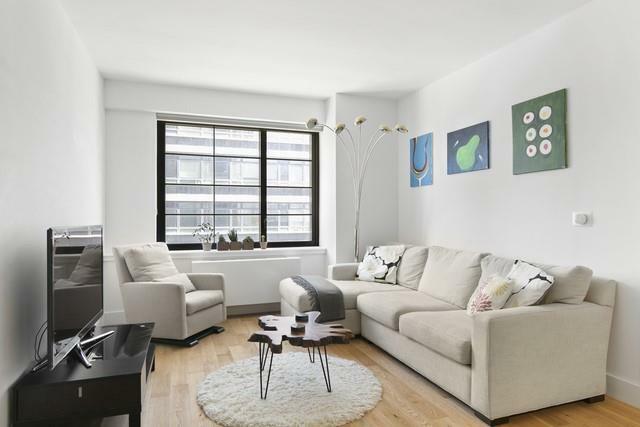 Amenities include a full time concierge, a fitness center, a children's playroom, and a resident's lounge that leads out to a furnished roof deck with panoramic views of LIC, Brooklyn, and Manhattan. 15 year 421a tax abatement in place.Transit: E and M trains at Court Square along with the G train and the R train at Queens Plaza.